The Government has bluntly warned loss-making An Post that it will receive no further Exchequer support, following the €12.7 million injection offered earlier this year. During a meeting in October, the Minister for Communications, Marine and Natural Resources, Mr Dermot Ahern told the semi-state company that the State "is entitled to a return on its investment". The Minister this year refused to pass the company's annual accounts until he was given guarantees that An Post had accepted cost cuts that would prevent a repeat of 2002's E47.5 million losses. "The company must obtain value from large-scale investments in automation and, furthermore, customers must see a return on the substantial price increases secured this year," said Mr Ahern, according to a minute of the meeting. 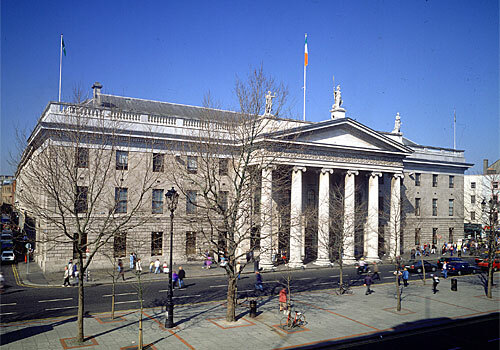 The documents were released to The Irish Times following a Freedom of Information Act request, though some documents were withheld, or edited, to block publication of information "that would have an adverse effect" on An Post. During the October 8th meeting, the Minister referred to "the differing perceptions" between An Post and the Department of Communications, Marine and Natural Resources this year. "However, he did not propose to dwell on the past and looked forward to working with the board of An Post on turning the company around," the minute prepared by Department officials reported. Acknowledging that the company's board had placed the Minister in a "difficult position", An Post chairwoman Ms Margaret McGinley said the board was "fully committed to exercising its statutory oversight role". Mr Donal Curtin, who was appointed An Post chief executive last July in place of Mr John Hynes, said it was "critical" that the company returns to profitability within "the next 18 months". "The recovery strategy represents a huge challenge with implementation being the responsibility of the board, management and employees," Mr Curtin told the meeting. Future pay increases in the company will have to be funded from greater productivity, said Mr Curtin, who accepted that the automation of postal sorting offices "has been difficult". The Minister said the challenges facing An Post "are not unique": "Postal companies all over Europe are facing the same challenges. An Post still has strong core businesses," he declared. During a meeting on September 2nd with the Minister, Ms McGinley said relations between An Post and its independent regulator, Comreg had "improved" since Mr Curtin's appointment. Mr Curtin then told the Minister that An Post had been "slow to adapt to a changed environment including the availability of new technologies and growth potential for the year ahead was over-stated". Besides requiring 1,000 to 1,500 job losses, Mr Curtin said An Post needed to generate extra income, introduce new products and adopt "a more sophisticated approach to the regulator". Describing the company's losses as "very serious", the Minister, in reply, demanded to know how they had been allowed to occur and who in the company had been aware of them. "Flawed strategies including roadside letterboxes and automation appear to have been adopted which have not led to cost reductions. He further stated that the economic upturn over the last few years had clouded the fundamental structural problems existing in An Post," the minute went on. Meanwhile, the Minister, in a letter dated November 6th, demanded a written guarantee from Mr Curtin that the postal delays suffered during Christmas 2002 would not be repeated. 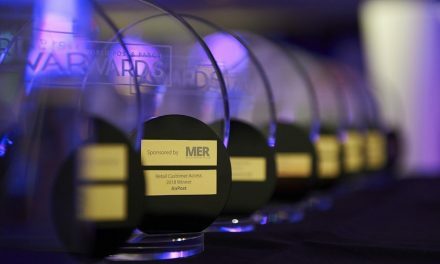 The Department of Communications, Marine and Natural Resources had received "an increasing amount of complaints" from businesses and individuals about late delivery, lack of information and poor quality of customer service. "I am sure you will agree that poor customer service undermines public confidence in the national postal service and given the current climate, this is a situation we wish to avoid," the Minister told Mr Curtin. 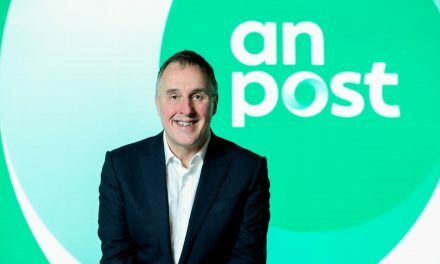 Replying, the An Post chief executive said 800 casual staff would be employed in Dublin and provincial sorting centres over the Christmas/New Year period to handle increased mail. Meanwhile, the minutes disclosed that 6 per cent of all stamps are not postmarked. While this is line with international standards, Mr Curtin said he hoped to reduce this figure to 3 per cent by the end of 2004. "It should be noted that the level of revenue that is at risk from re-use is significantly lower than the level of uncancelled mail and would not justify additional expenditure beyond that already undertaken," he said.